This tool is present in the Mageia Control Center under the tab Software management. 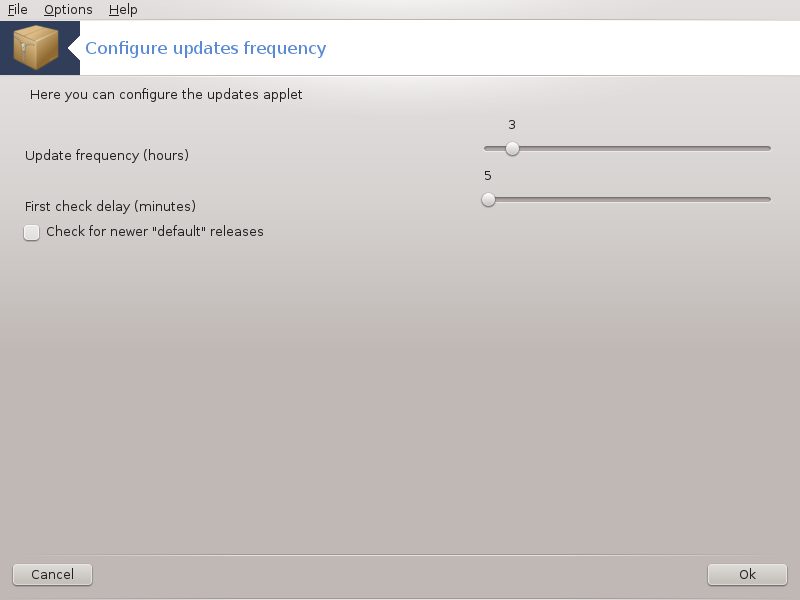 It is also available by a right click / Updates configuration on the red icon in the system tray. The first slider allows you to change how frequently Mageia will check for updates and the second the delay after booting before the first check. The check box gives you the option to be warned when a new Mageia release is out. You can start this tool from the command line, by typing mgaapplet-config as root.